In a radical departure from her urban life, Ann Turner buys a piece of remote Vermont land and sets up a tent home in deep forest. She's trying to escape an unending string of personal disasters in Boston; more, she desperately wants to leave behind a world she sees as increasingly defined by consumerism, hypocrisy, and division. As she writes in her journal, There's got to be a more honest, less divided way to live. She soon learns she was mistaken in thinking a kindly Mother Earth would grant her wisdom and serenity in her new home. The forest confronts her with unanticipated dangers, aching loneliness, harsh weather, instinctive fears, and unsettling encounters with wild animals. It's beautiful, yes, but life in the woods is never easy. When necessity requires her to start work as a farmhand, she quickly realizes that she held similarly childish illusions about small farms. Under the stern tutelage of Diz Brassard, the farm's sixty-year-old matriarch, and the gentler guidance of Earnest Kelley, an Oneida Indian friend of the Brassards, she discovers what hard work really means. Ann faces her predicament with determination, but there's a lot to learn-about the Brassard family, about dairy farming, and about herself. If she is to succeed in her new life, she must become as tough and resilient as the rural community she lives in. She must also learn to accept love-even if it arrives in the most unexpected forms. 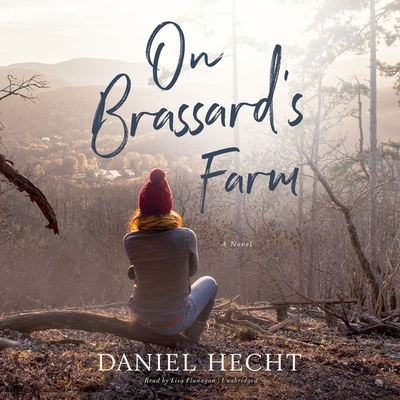 On Brassard's Farm is a tale of personal struggle, sweeping transformation, and romantic love. Author Daniel Hecht tells of Ann Turner's quest for a better life with unsparing honesty and gentle humor. Through its portrayal of the unrelenting labor and harsh pragmatism of farming, On Brassard's Farm reveals the deep durability of rural life and offers a much-needed affirmation in a changing and uncertain world.